A Spring Morning With Chandler! 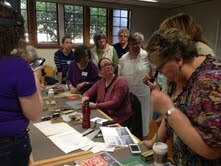 Chandler O’Leary explains the basic concepts of linoleum block cutting before the artists begin their projects. Ever wonder how Chandler creates her stunning (and meticulously detailed) linoleum block prints? 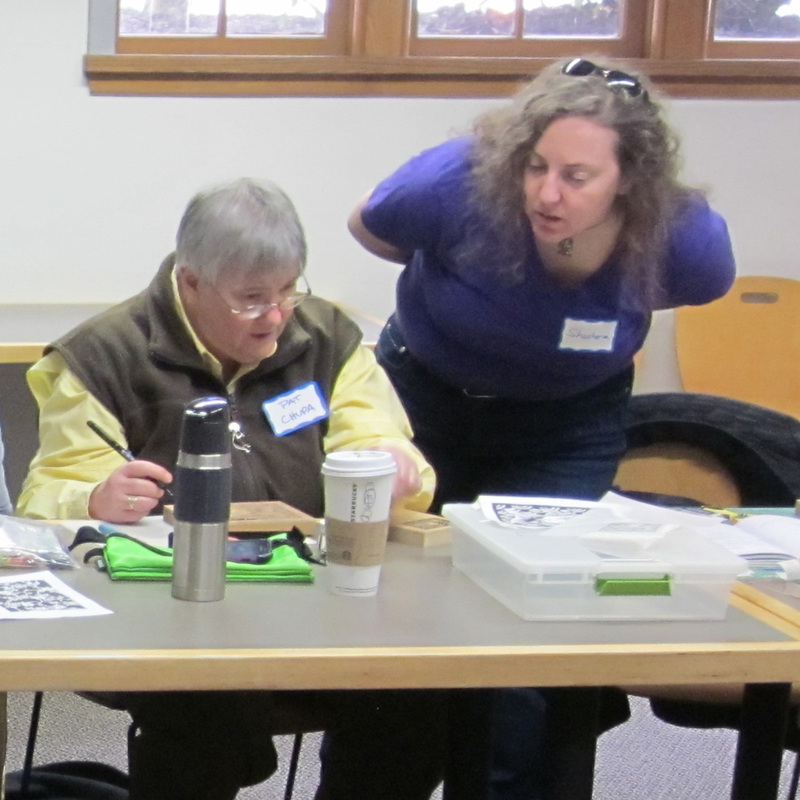 On a recent Saturday fourteen PSBA members postponed a morning of soaking in the delights of spring daffodils in bloom and the dew on the flowering trees to gather at the Collins Library to watch, learn and be inspired by Chandler’s expertise in linoleum carving! It was a whirlwind morning—in two short hours we learned what was undoubtedly a very large, and heavy, textbook-size of information ranging from how to choose the best images for relief to how to bring shading to our images to most desired carving tools to the nitty-gritty of achieving crisp detail in carving. Our eager-to-learn group came with loads of questions for Chandler. Seemingly undaunted by the task, she responded with unflinching grace (and good humor) fielding each and every question. Not only did I leave that morning’s play day with an enormous amount of inspiration and information, I walked away honestly humbled by her generous spirit to share. Thank you Chandler. Did you attend the play day? We would love to know more about your favorite take-aways from the time with Chandler in the comment section below. This entry was posted in Archived Events, Lectures & Presentations, Member News, Workshops. Bookmark the permalink.